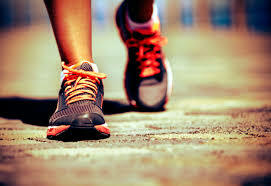 Light physical activity was defined as walking at least four hours a week. Moderate physical activity was defined as more intense exercise such as swimming, brisk walking, or running two to three hours a week. Of study participants, 52 percent said they were physically inactive before having their stroke. It is important to note that participants reporting on their own physical activity after having a stroke is a limitation of the study. It is possible that memory may be affected by a stroke, and more so in people with more severe stroke. Previous article:What Are Household Disinfectants Doing To Our Gut Microbes?